The Terra Nova tests are assessments that promote student achievement and learning with a full range of research-based, standard achievement tests, reports, and services. 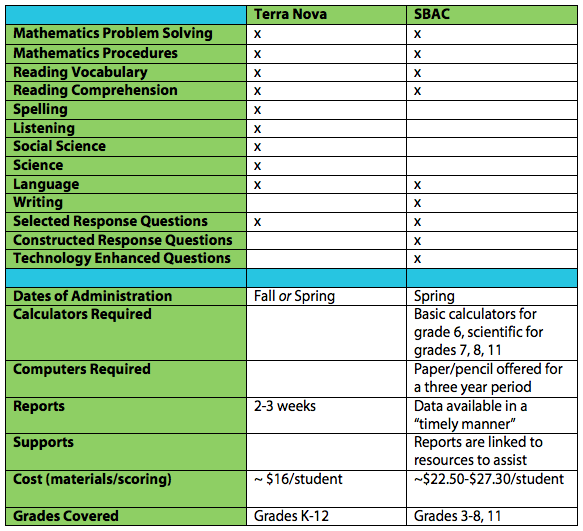 They are different from the SBAC, which Vermont uses for assessing student performance in public schools (see comparison below). A new tool to our school in 2015, teachers use Terra Nova assessments to provide a part of the feedback we need to adjust and enhance our curricula and delivery to better serve our population of learners. The assessments we use feature norms from an empirical study and use the most current and accurate norms, which allows us to compare achievement results between groups of students, which helps us gage where our students stand nationally. 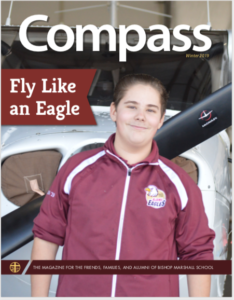 The grade equivalent is a number that describes a student’s location on an achievement continuum. Grade Equivalents are expressed in terms of grade and months into grade, assuming a 10-month school year (e.g., 5.4 means after 4 months of instruction in the 5th grade). The Grade Equivalent corresponding to a given score on any test indicates the grade level at which the typical student obtains this score. BJAMS administers the Terra Nova to provide teachers and administration with curricular feedback. We use the results to help guide our curriculum work for the following academic year. We administer the assessments in the spring in students’ homeroom classes, usually in the mornings for a five-day period.